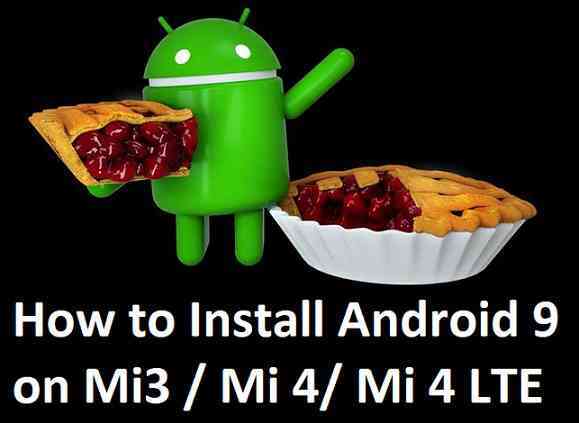 If you are looking to update Android Pie for Mi 3 / Mi 4 / Mi 4 LTE, then here I have list of Android 9 Pie ROMs for Mi 3 / Mi 4 / Mi 4 LTE and a step-by-step guide on how to install Android Pie on Mi 3 / Mi 4 / Mi 4 LTE. The Mi 3 / Mi 4 / Mi 4 LTE (codename: cancro) was launched with Android Jelly Bean, and this is a custom ROMs collection based on Android Pie. – You cannot update Mi 3 by installing an official MIUI ROM, because it is not available. This is the primary reason I have brought you here, this update of Android Pie 9 for Mi 3 / Mi 4 / Mi 4 LTE via custom ROM. Download one of the Android Pie ROMs available for Mi 3 / Mi 4 / Mi 4 LTE from the above list. Download the TWRP recovery for Mi 3 / Mi 4 / Mi 4 LTE from the downloads list. Install TWRP Recovery on Mi 3 / Mi 4 / Mi 4 LTE using fastboot. Then, download one of the Android Pie ROMs available for Mi 3 / Mi 4 / Mi 4 LTE and copy the file to your phone using TWRP MTP mode or sideload. Reboot your phone and enjoy Android Pie on Mi 3 / Mi 4 / Mi 4 LTE. If you are facing any issue while following this guide, then you can comment here or you can create a topic on the Mi 3 / Mi 4 / Mi 4 LTE Forum or on the respective Android Pie, LineageOS 16, Android Oreo Custom ROM topics.